Today I wanna share with you guys a simple application that I created to help you register your Internet Download Manager so it will be converted to full version. 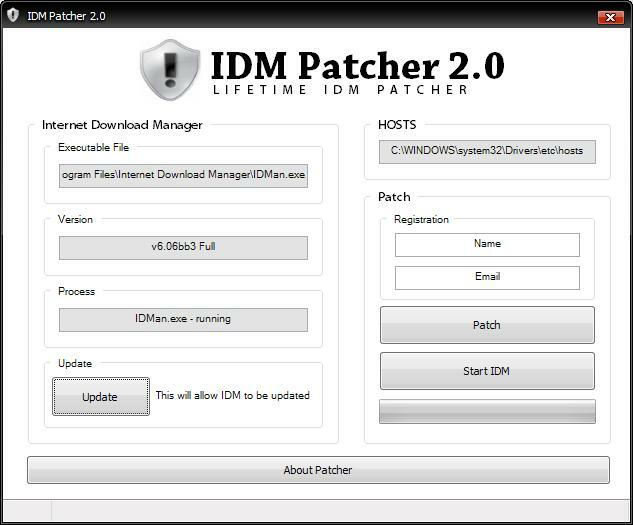 This universal patcher is guaranteed 100% worked with all version of IDM. This patcher is actually the automated version of the manual patching. So with this software, you will not have to patch your IDM the hard way. Just with a simple click, your Internet Download Manager will be converted to full version. The only disadvantages using this software is the official Internet Download Manager website will be blocked. To restore your IDM quick update service, just click on the "Update" button. But remember to update your IDM again after done updating. ENJOY!